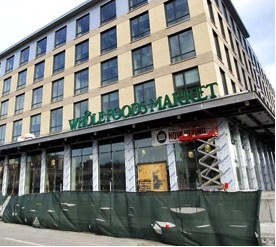 Boston’s Whole Foods plan to bring a new dimension to their health-conscious grocery market within the new year. Located in South End’s Ink Block, the 50,000 square foot store will unveil their first ever spa in the former site of the Boston Herald. With easy access to a gym, healthy food and body treatments, healthy living will be the residents of Ink Block’s mantra. Talk about feeling cleansed inside and out!